What’s really going on between Kate and Meghan? Before Meghan, there was Kate. It feels like the Duchess of Cambridge has been a part of the Royal Family forever, but it’s only since 2011 that she’s been walking around as the future Queen Consort. There was once a time when Kate was just an upper-middle-class teenager excited to start her degree in art history at the University of St. Andrews. It was there that William set eyes on her for the first time and became enamored, eventually leading the two to date. 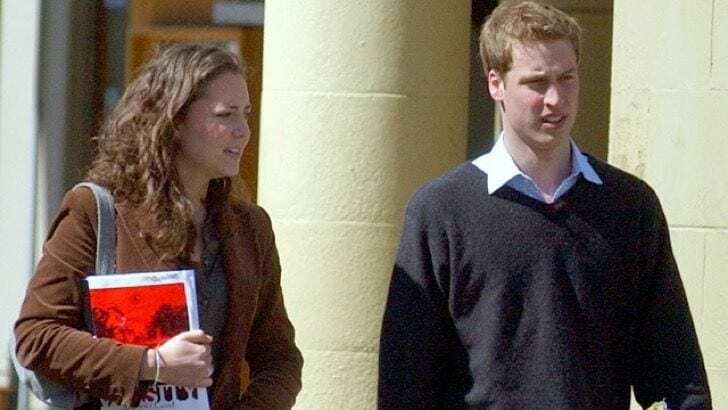 Back then, no-one really thought much about Kate one day becoming William’s wife. After all, they were both students, and there was every chance that they’d part ways before they graduated. However, after being together for several years, the reality of their relationship started to sink in. Unlike his brother, William was never connected with a string of women, so there was every chance that his romance with Kate would go the distance. At least, that was until trouble started brewing on the horizon. Everyone’s hopes for a royal wedding were dashed in 2007 after William and Kate announced that they were no longer together. Although no reason was given for the split, the pressure from the paparazzi had certainly put a strain on their relationship. Kate had been forced to get her lawyers involved because of the unnecessary attention she was getting everywhere she went. As you’re probably aware, though, this break up didn’t last forever, because Kate is now Prince William’s wife and a member of the Royal Family. It was only a matter of weeks after the split that the couple reunited. After breaking up in April, they were back together by June, although it was initially kept a secret. Given the publicity of their relationship had driven a wedge between them in the first place, it’s understandable why they wanted to keep things quiet. However, news eventually broke that the couple was back on, and it was clear to see they were stronger than ever. That’s why three years later, William got down on one knee. It was in April 2011 that the couple tied the knot. Their union was watched by tens of millions of viewers across the globe, making it one of the most popular broadcasts in history. The event saw an increase in British tourism and boosted the country’s economy thanks to the worldwide appeal of their relationship. 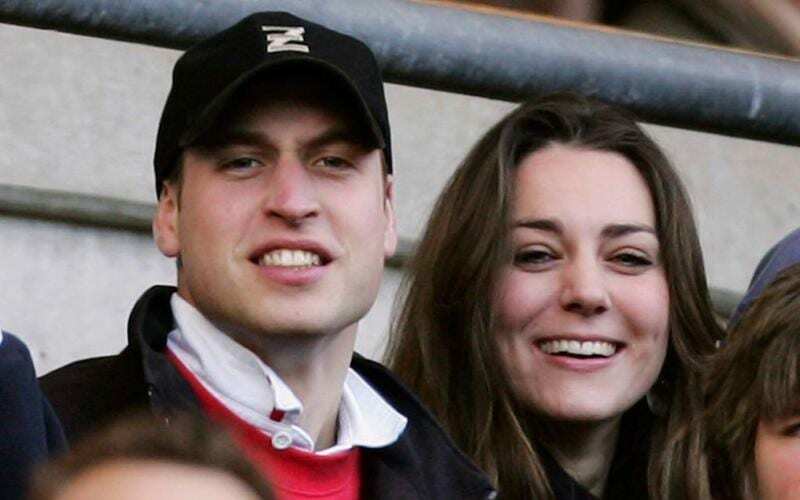 Given the likelihood of William ascending to the throne one day, people at home were watching the potential future King and Queen Consort cementing their love for each other in front of the world. Since then, William and Kate have rarely ever been out of the spotlight. 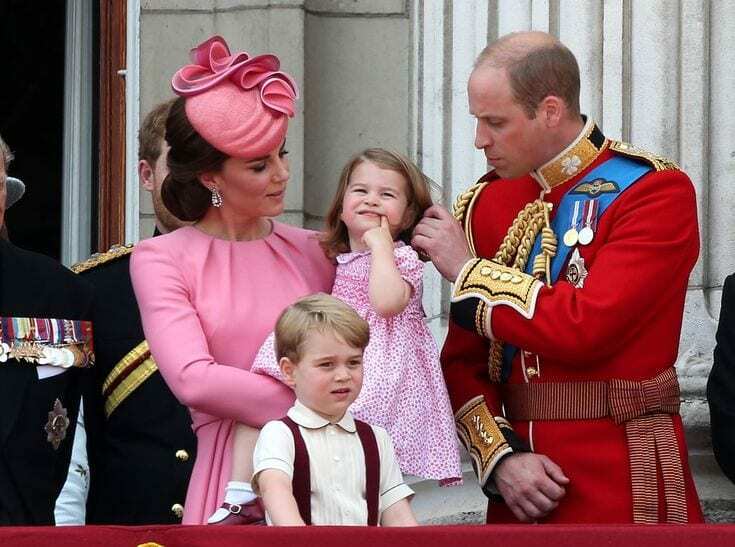 Following the announcement of her first pregnancy at the end of the following year, Kate has gone on to have three children – George, Charlotte and Louis. She’s rarely stopped birthing heirs since getting married, but while she’s been dealing with one pregnancy after another, someone else has been taking her place. In 2016, William’s brother Harry started dating actress Meghan Markle, and the woman has slowly been becoming a favorite among royal fans. Harry and Meghan’s relationship started as a blind date organized by an as yet unknown mutual friend. Obviously, they hit it off, because they’ve since walked down the aisle together, but at the time, there was no knowing how long the two would last. Harry was known as something of a ladies man back in the day, and being a member of the Royal Family, he was certainly a hot commodity. Many women wanted a piece of him, so who was to say that Meghan would be any different? Of course, Harry wasn’t the only one with an intriguing love life. Meghan was actually a divorced woman when she and Harry first met. The actress married director and talent agent Trevor Engelson in 2011, with the couple eventually splitting two years later. 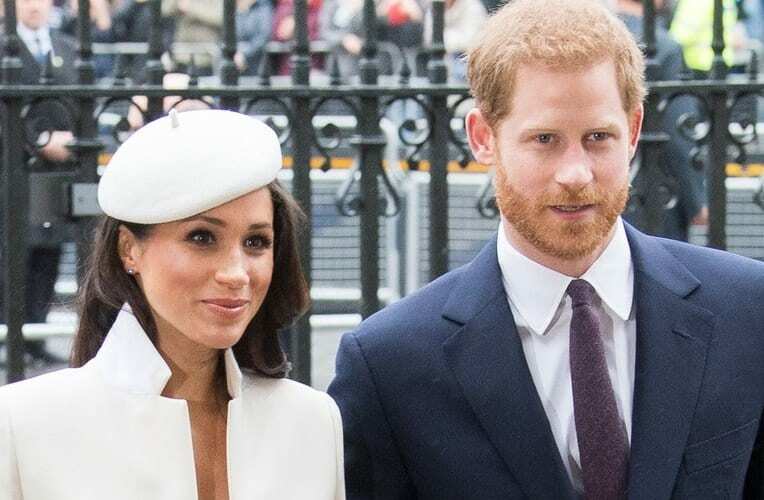 Being with a divorcee isn’t usually considered acceptable behavior for a royal, but that didn’t stop Harry from falling in love with Meghan. There was a lot about his girlfriend that wasn’t particularly conventional for a future royal, but romance blossomed between the two nonetheless. Before meeting Prince Harry, Meghan was best known as an actress. Although she had small parts in shows like teen drama “90210” and sci-fi series “Fringe,” she was most notable for her role as Rachel Zane in legal drama “Suits.” Until 2018, Meghan was one of the show’s regulars, appearing in over 100 episodes of the series. She eventually left the program when her relationship with Harry went to the next level, and her beau asked her one very important question. In November 2017, Harry popped the question. There was no hesitation on Meghan’s part, and the two quickly shared news of their engagement with the world. Just as with William and Kate’s wedding, it was mere months after getting down on one knee that the two got married. 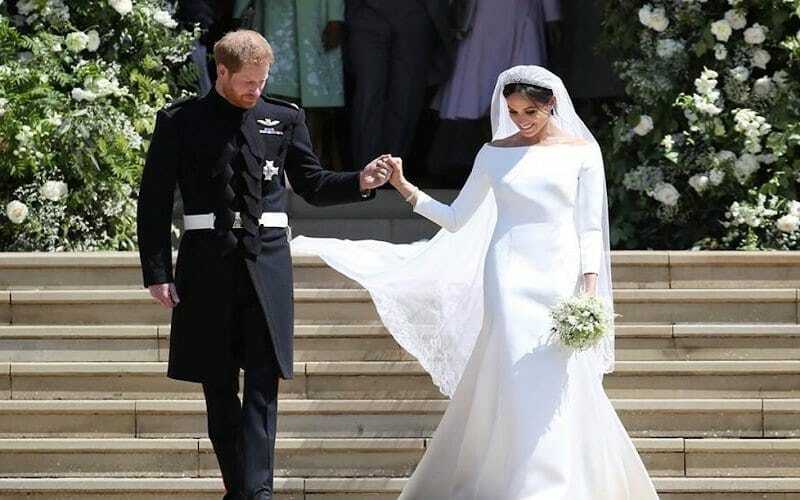 Their ceremony happened in May 2018 and was watched by a similarly high number of viewers, albeit not quite as much as the 2011 wedding. There was now a new royal in the family; one who could match Kate for media attention. The differences between Kate and Meghan are vast. One is British; the other American. One studied art history; the other formed a career as an actress. They both grew up with very different backgrounds, which led them down their own unique paths. However, despite the things that set them apart, they’ve both ended up in a very similar situation. As the wives of two of the most famous men in the British Royal Family, their paths have now joined together whether they like it or not. 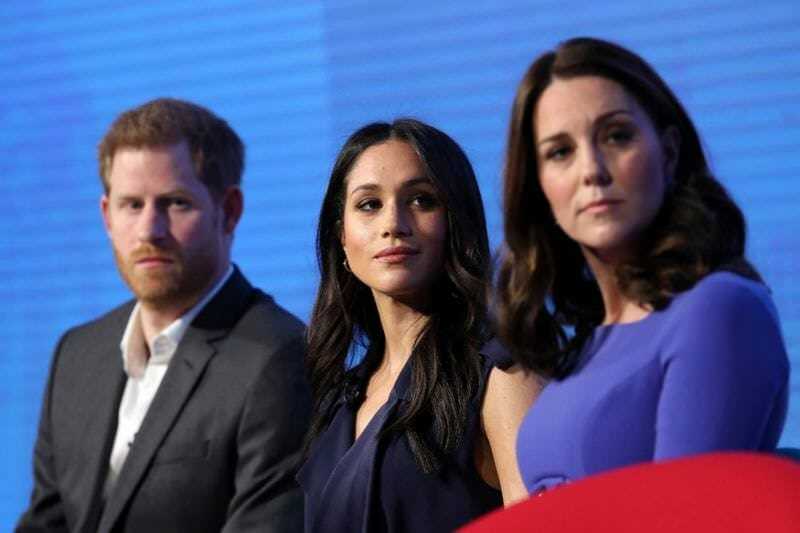 While it might seem that Meghan was thrown in at the deep end when she became a royal, that wasn’t quite the case. Although she had to learn about being prim and proper, she did have some advantages over people like Kate. In particular, she was used to dealing with paparazzi thanks to her work as an actress. She spent her life being on camera, so the constant attention from the media wasn’t going to throw her off. That’s experience that Kate could have used when she started dating William. The relationship between Kate and Meghan is something of intense speculation and for a good reason. After all, while the royals might wear a smile out in public, we can never be sure of what goes on behind closed doors. If the two women put on a show of solidarity when they’re out together, can we be certain that they do actually like one another? There’s a lot to be said about the real relationship between these two, some of which might come as a bit of a surprise. For around a decade or so, Kate was of significant interest to fans of the Royal Family. Her relationship with William was envied and admired by many, and when the two tied the knot, there was no other royal couple around to attract more attention. Kate spent many years without any kind of competition because Harry’s relationships never went the distance. However, once Meghan came into the picture, things started to turn in their favor. William and Kate were no longer the only hot topic of conversation. 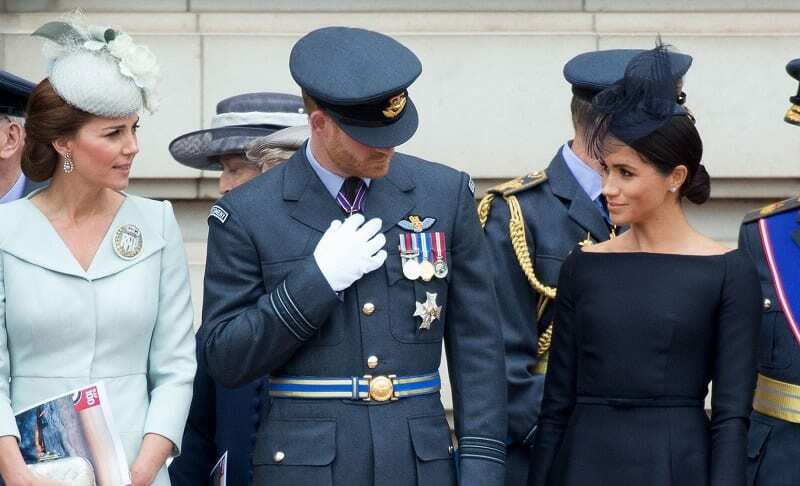 There’s been a lot of pressure on Meghan’s shoulders to live up to the high standards of the royals. Coming from an entirely different background, there’s a lot that she’s had to learn, from the clothes she wears to the way she sits. This isn’t something that was ever a big deal for Kate, because her upbringing was more closely related to that of a royal than Meghan’s was. The former actress relied on her sister-in-law to show her the ropes, but was Kate willing to offer a helping hand? Well, although she’s had a few stumbles on her way to becoming a royal, it seems that Meghan doesn’t need to be holding onto Kate’s hand. The former actress’ relationship with the Queen seems to be strong enough that she can do very little wrong. 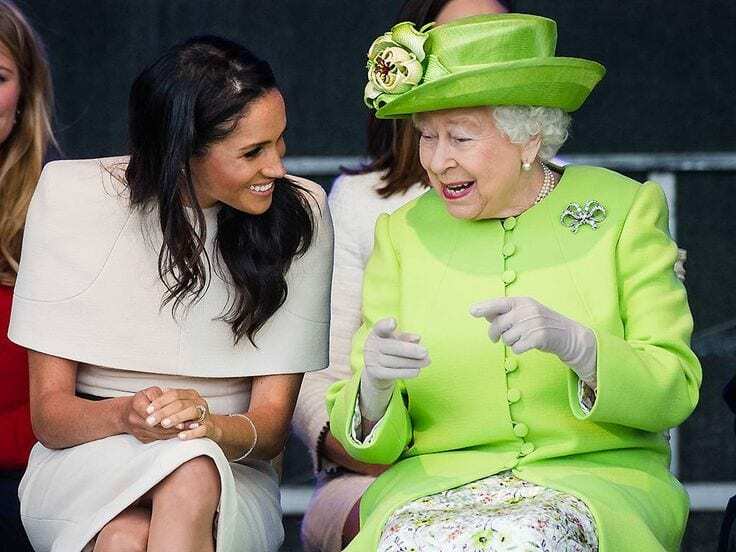 After only a few weeks of marriage, Meghan was already invited to attend solo events with the Queen, something that Kate didn’t do until she’d been a royal for nearly a year. The special treatment of Meghan hasn’t stopped there, either. 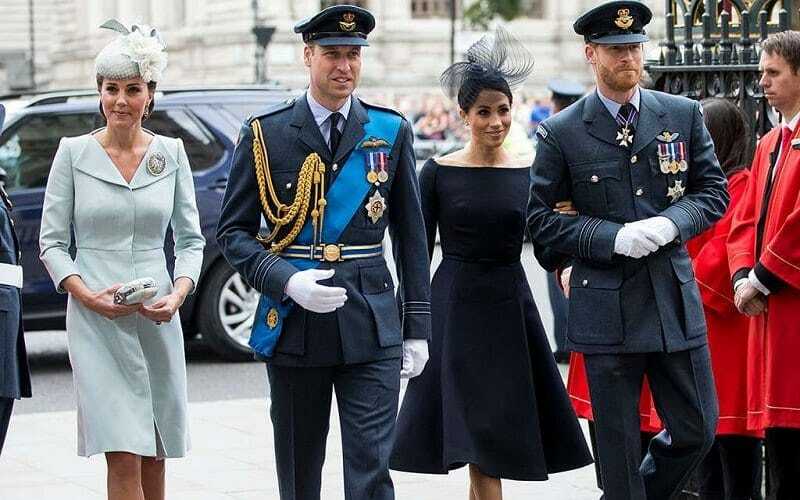 Before Meghan and Harry had even been married, the former had already been invited to events traditionally reserved for members of the Royal Family. She was most notably included in the invitations for Christmas at Sandringham House, something which Kate wasn’t allowed to attend until she tied the knot with William. 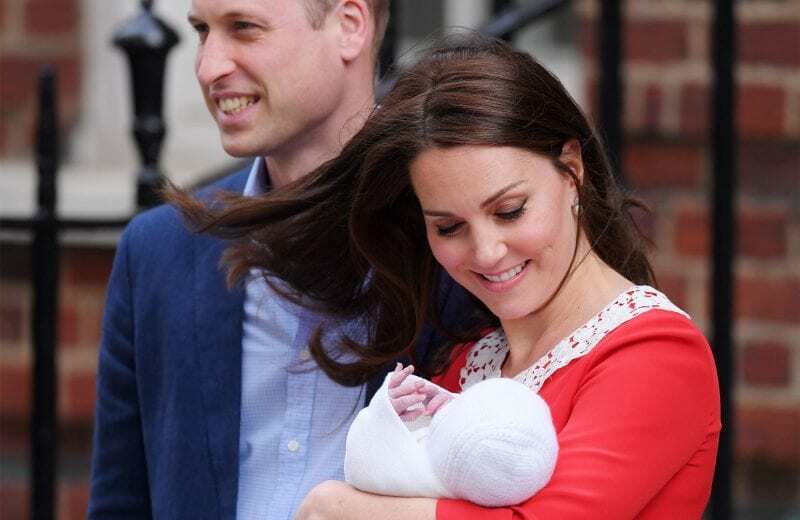 This kind of special treatment could easily make Kate jealous, especially given she’s been a royal for longer, and was far more prepared for the role than her American counterpart. So is there any bad blood here? Kate might have a reason to be envious of her sister-in-law, but that doesn’t mean she is. Kate has experienced firsthand the brutality of the paparazzi, so it’s unlikely she’s too sad if they’ve lost some interest in her. Besides, since marrying William, her priorities have changed a lot. By the time that Meghan walked down the aisle, Kate had only just given birth to her third child. She’s a mother now, and that maternal instinct probably kicked in when Meghan entered the fold. All you have to do is look at the body language of these two women to see what their true feelings are for each other. 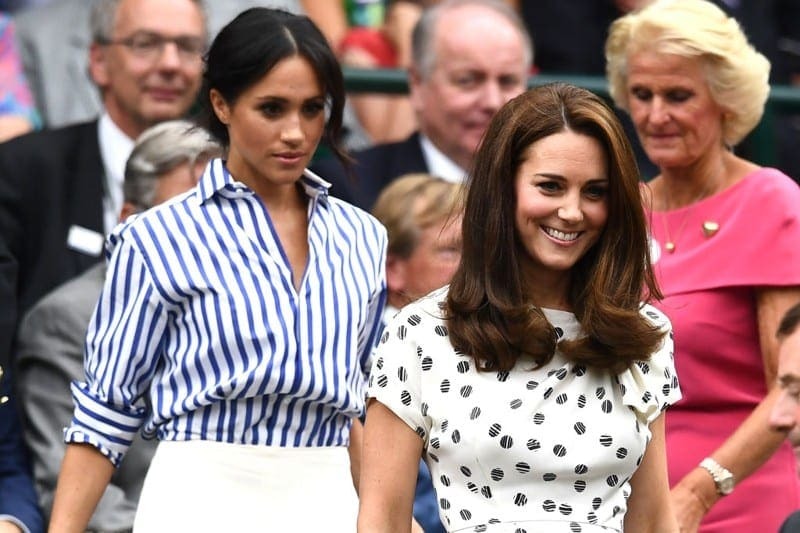 During a lot of their interactions, it’s clear to see that Meghan is “twinning” Kate, a technique which essentially means the new royal is copying her sister-in-law. They both sit and dress similarly, with Meghan almost definitely basing her poise and performance off of Kate. 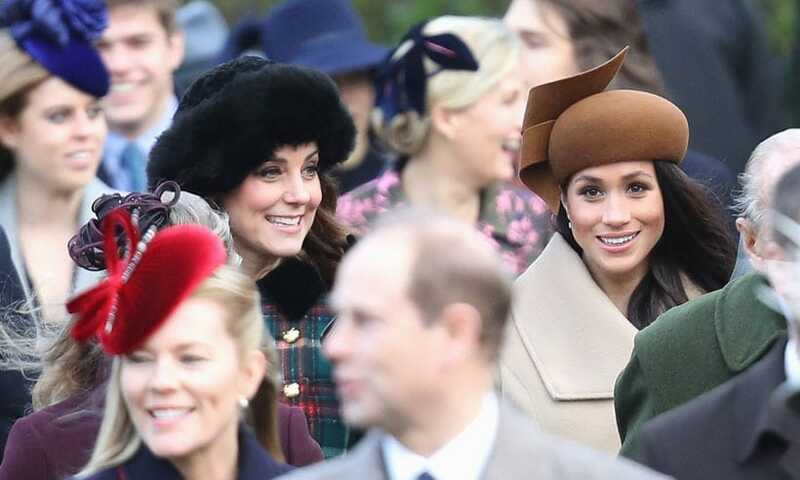 William’s wife is leading by example, and Meghan is eagerly following her. That’s not all, though. During a public engagement, the way that these women sat said a lot for their relationship. 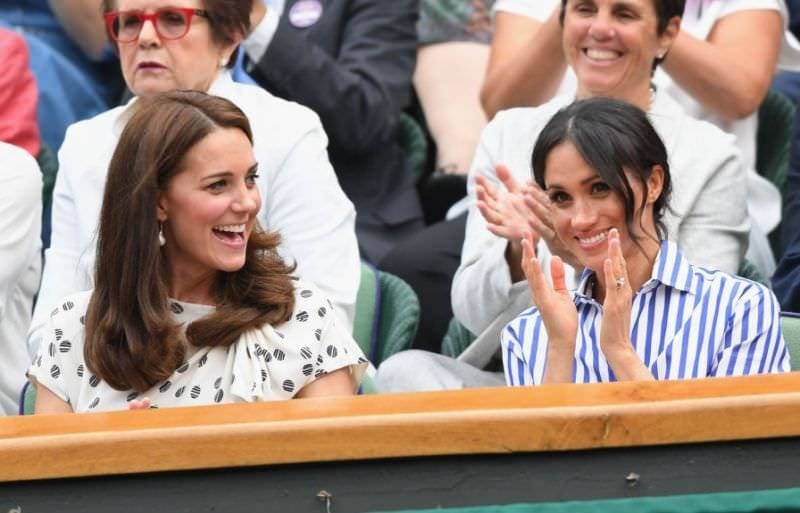 Although they had their legs crossed in different ways – Meghan’s position was actually more demure than Kate’s – they were directed towards one another. This is a sign of friendship, and it further strengthens the notion that these two do genuinely like each other. 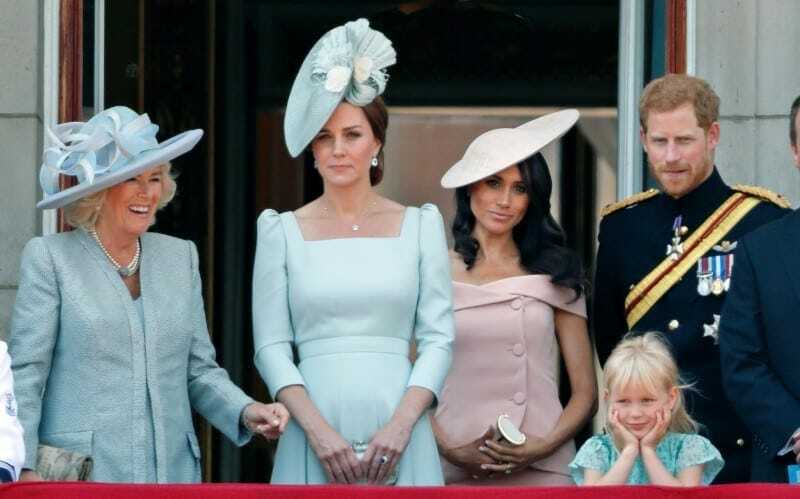 Despite what reports seem to suggest, there’s no bad blood between Kate and Meghan. Not unless one of them does something that the other finds unforgivable. 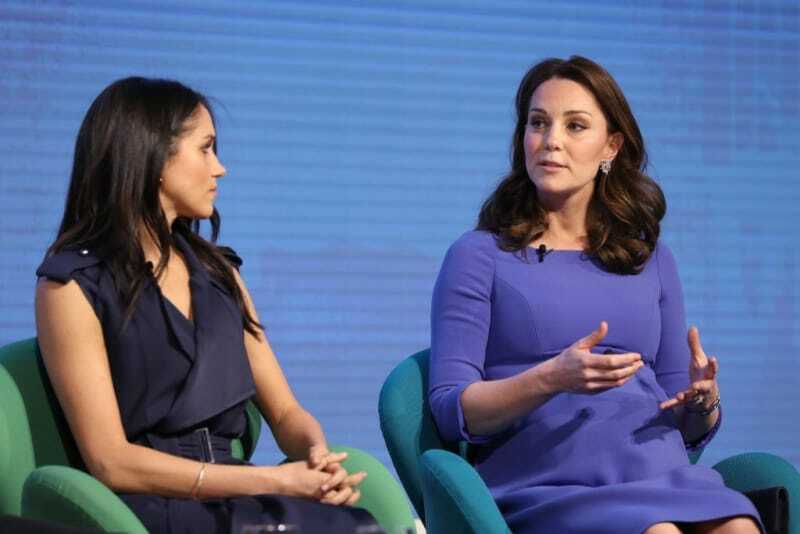 Rumors of a tense relationship between Meghan and Kate are likely to go on for years, no matter what their feelings actually are for each other. The media has a habit of pitting women against one another, often creating a problem that doesn’t really exist. While many may have their preference for which royal they like more, there’s no reason why we can’t be supportive of all of them. Meghan and Kate are both fabulous in their own rights, and they’ve both taken to being a royal with precision and ease.